Sharon Grace Roscoe (née Furnival) passed away on December 9, 2015. Born in Ottawa, the daughter of Dr. George M. Furnival and Marion (née Fraser) Furnival, she graduated with a BSc from UBC, with honours in chemistry and a major in mathematics. She graduated with a PhD in physical chemistry from McGill University. 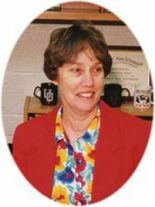 Sharon taught virtually every chemistry course at Acadia University, from biochemistry to theoretical chemistry, rising rapidly to the rank of professor, and was head of the Chemistry Department. She was an adjunct professor in the School of Biomedical Engineering at Dalhousie University and the Department of Chemistry at the University of Guelph. On her retirement, Acadia appointed her emeritus professor. Sharon’s research was continuously funded by The Natural Sciences and Engineering Research Council of Canada (NSERC) and by contracts with the Dairy Farmers of Canada, the Nova Scotia Health Research Foundation, SOHIO (Standard Oil of Ohio) and BP America. She was a co‑chair of the NSERC Biosciences B Strategic Grants Committee and a member of the NSERC Discovery Grants Committee 26. She was a Fellow of the Chemical Institute of Canada and received the Clara Benson Award of the Canadian Society for Chemistry. She served as a member and chair of the executive of the Canadian Section of the Electrochemical Society, receiving its R.C. Jacobsen Award. She served the International Society of Electrochemistry in many roles, including nine years as secretary general, and was appointed an honorary member of the society. Sharon served her community as a figure skating and riding instructor and a Beaver leader. She enjoyed camping, canoeing and skiing with her family and in retirement was an avid golfer. She is survived by her husband of 47 years, John, two sons, James and Thomas, two grandchildren, Coll and Ailsa, a sister, Patricia, and two brothers, William and Bruce. A memorial service was held in the Manning Memorial Chapel, Acadia University.